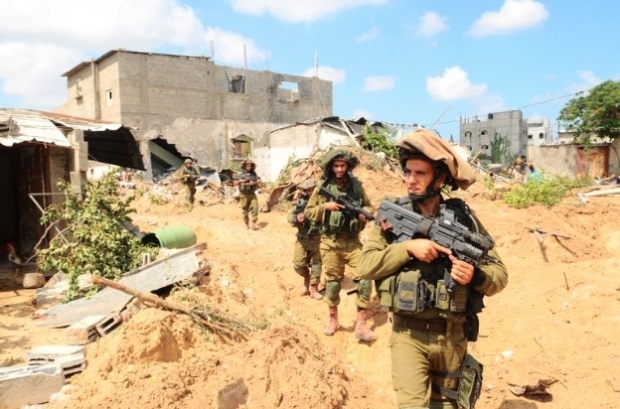 From the outset of Operation Protective Edge, Jewish renegades have been increasingly propelled into the limelight. One example was a recent letter published as an advertisement in The New York Times, signed by 300 descendants of Holocaust survivors from all over the world. It condemned the Israeli “massacre of Palestinians in Gaza” which amounted to the “genocide of Palestinian people.” It also decried the “extreme racist dehumanization of Palestinians in Israeli society, which has reached a fever pitch” and called for boycotting, divesting from, and sanctioning the Jewish state. This initiative typifies the efforts by small groups of fanatical Jewish deviants scattered throughout the world who seek to demonize Israel. It is not a new phenomenon in Jewish history, originating from the early days of the Diaspora. It reached a critical level during the Middle Ages when Jews were regarded as pariahs and the Church held them accountable for all the woes facing mankind, including plagues, droughts and other natural disasters. History records that during this period a small number of renegade Jews sought to ingratiate themselves in their host communities by promoting vile distortions and demonized stereotypes of their own people, reinforcing false accusations such as blood libel. In the absence of modern print and electronic media their impact was limited, although the Church and other anti-Semites delighted in providing them platforms to fan the hatred which often resulted in pogroms. With the emancipation of the Jews in the 18th and 19th centuries, many distanced themselves from the ghetto and emerged at the forefront of radical and national movements. The radical anti-Semitism of the early socialist movement was frequently spearheaded by people of Jewish origin. One need only review the anti-Jewish diatribes by Karl Marx to appreciate the extent of the venom used to portray the classical anti-Semitic stereotypes. In Eastern Europe, some of the Jewish social revolutionaries even justified pogroms against their own people as a vehicle to generate revolutionary consciousness. When the Bolsheviks came into power they established the Yevsektsiya, where Jewish cadres were entrusted to root out Jewish religion and culture — which they did with infinitely greater ferocity than their non-Jewish counterparts. Their denigration of Judaism was comparable to Nazi propaganda. In 1948, when Stalin inaugurated the Black Years of anti-Semitism, which included the murder of Jewish intellectuals and state sponsored anti-Semitic campaigns culminating in the trumped up anti-Jewish “Moscow Doctors’ Plot,” he retained a number of Jews in leading roles in order to camouflage his rabid anti-Semitism. In Europe and America, Jewish communists and fellow travelers were at the forefront of campaigns to justify Soviet state-sponsored anti-Semitism, and vilified those campaigning for the rights of Soviet Jewry as extremists with ulterior motives. Some even applauded the Soviets in the 1960s when Jews were singled out and sentenced to death for allegedly engaging in economic criminal activities. Today’s Jewish renegades, who defame Israel, accuse it of war crimes and of behaving like Nazis, and are therefore maintaining a long-standing tradition of perfidy. Ironically, and contrary to repeated assertions in the liberal media that Diaspora Jews are increasingly divided over Israel, committed Jews are today more united in support of Israel than they have been since the Six-Day War. 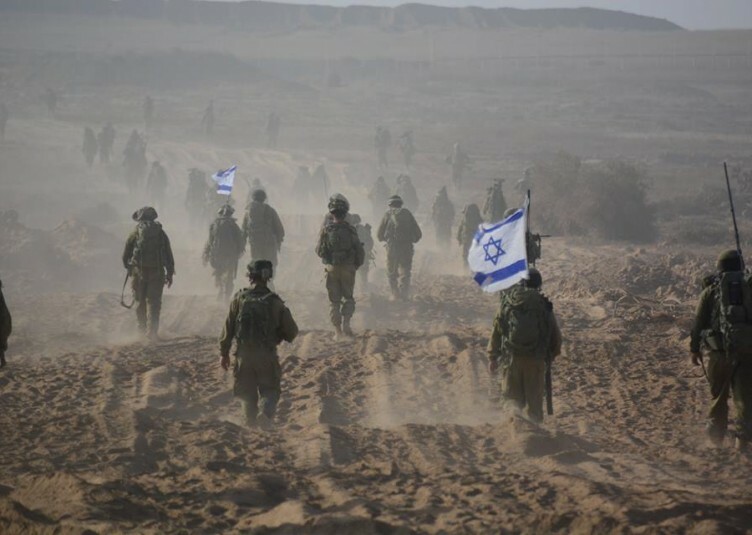 While occupying the moral high ground in justifying Israel’s right to defend itself from missile attacks and genocidal terrorists, Jews recently have been stunned by an explosive eruption of anti-Israeli sentiment, which has been accompanied by outright anti-Semitism. That being the case, how have the minimal numbers of Jewish anti-Zionists managed to assume such a prominent role in the public arena? The answer is their ability to exploit the Internet and social media networks to liaise globally and seek out like-minded deviants. That was not accessible to renegade Jews during the Middle Ages nor during the Nazi era. Another factor in their favor is that hatred of Israel now provides a gateway to acceptability into leftist and even liberal circles, making renegade Jews extraordinarily appealing to their electronic and printed media outlets. 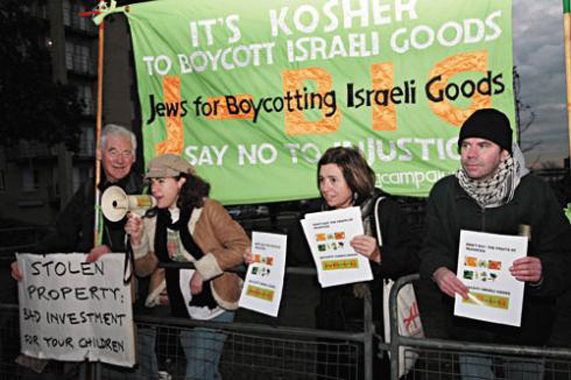 At the forefront of the campaign are the fanatical Jewish anti-Zionists who are alienated radical left-wing activists, many of whom can be regarded as representing an extension of the Jewish communists who so fervently justified Soviet anti-Semitism. Others include ambitious publicists who exploit their anti-Zionism to promote themselves within the liberal media. Today’s activists apply the same strategy to recruit fellow travelers as did their communist predecessors. They concentrate on assimilated Jewish liberals who are dismally ignorant of Jewish culture and devoid of any involvement in Jewish life. For many of these “Jews,” anti-Zionism is their very first foray into any kind of Jewish public activity. They share a common desire to join the anti-Zionist chic in order to demonstrate their liberal credentials by rising above parochial Jewish nationalism. Indeed, many of the signatories of anti-Zionist petitions never previously identified as Jews. The most nauseating feature of these groups is the application of Holocaust inversion by portraying Israelis as behaving like Nazis. They are so obsessed with demonizing Israel that they do not realize the obscenity of defending genocidal barbarians whose charter demands the destruction of the Jewish state and calls on followers to murder Jews everywhere. They are allying themselves with the promoters of feral anti-Semitism, many of whom vindicate Hitler. Those whose ancestors perished in the Holocaust lack the sensitivity to even appreciate the obscenity of bracketing Nazis with the Jewish state, which, had it existed in the 1930s, would have saved the lives of millions of Jews . The more naïve bleeding-heart fellow travelers display a softer version of anti-Israelism, ignore the criminality of Islamic fascism, and emphasize that they are motivated by humanity and acting in the best interests of the Jewish people. History will judge them even more harshly than the liberals who embraced Stalin and refused to recognize the reality of the evil empire as constituted by the Soviet Union. Many of them today are also academics like their predecessors who were promoting the “peace camp” during the Cold War, which effectively amounted to advancing Soviet foreign policy objectives. The liberal and left wing media, exemplified by The New York Times and The Guardian, which provide extensive coverage and editorial endorsement for these demented views, will be judged even more harshly than for their previous unconscionable defense of the Soviet Union. Although New York Times Jerusalem correspondent Jodi Rudoren is far from being an anti-Zionist renegade, some of her reports about Gaza are reminiscent of Walter Duranty’s reports of the Soviet Union during the 1930s in The Times, which became notorious for understating Stalin’s criminal behavior. In summary, the manifestation of Jewish renegades in our times is a déjà vu. Its influence feels magnified due to the impact of electronic media and social networking. We must remind ourselves that we live in democratic societies in which people are free to deceive. Our legitimate source of regret is that these one-dimensional Jewish anti-Semites achieve so much media exposure. We must constantly challenge their attempts to portray themselves as mainstream, and emphasize that they represent a miniscule component of the Jewish world, which despises them. The End Of The ‘One People’ Myth?